We’ve all had the situation where we know where we are on the ground but keep losing track of where this is on the map. It’s different to being lost – where you have no idea where you are and any thread back to a place where you did know where you were has been severed. So, I’m not talking about being lost. Neither is the situation I’m talking about the same as not being able to work out where you are on the map. It’s just that annoying situation where you look away from the map for a while, come back to it a while later and have to go through the rigmarole of relating what you can see on the ground to what you can see on the map. Again. Where was it on the map again? Going out for a hike isn’t much fun if you just have your head stuck in a map the whole time. You want to be able to look around, whether it is to take in the scene, the view, the landscape, spot birds, check out animal tracks or sign or whatever interests you on a given day. You also want to be able to look where you are going. Walking along with your nose buried in the map means you are more likely to trip up and fall flat on your face. You want to be able to cover distance. It’s impossible to stride out into your full walking pace when you are looking down at the map. Besides, the map won’t tell you where you are. The landscape around you tells you where you are. The map helps you keep track of where you are and work out where you are going. So there is an interplay between looking down at the map and looking up at the landscape. The simple solution is to put a temporary marker on the map where you last were. Then as you move along, move the marker. When you look away from the map then back again, you can immediately locate the last known point on the map without having to zoom in on this spot again. It means you are less likely to make a mistake in doing this too – particularly important when you are in a landscape with repeating features for example. The temporary marker I like to use is my thumb. 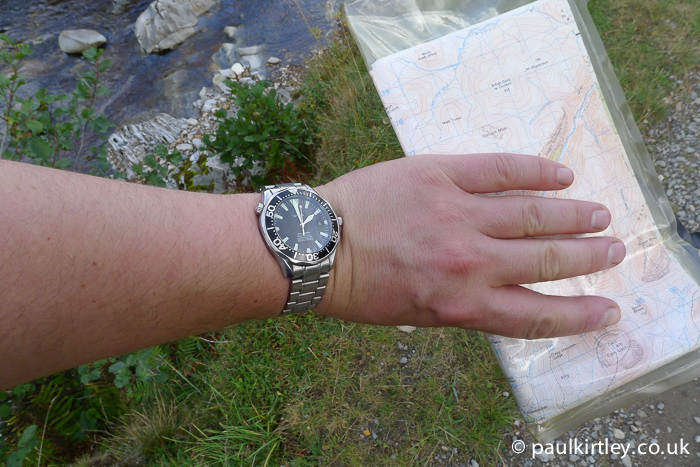 I’m holding the map anyway, so I just hold it in a way where my thumb is over the last place I knew I was. When I teach navigation, a methodology I share is to look at your proposed route, noting features you will pass on the route – examples might include crossing a fence or other boundary, crossing a stream, reaching a fork in the trail, passing a hut, or something more subtle such as a change in gradient. On the map you can follow the route with your eye and, as you pass over these features represented on paper, envisage them on the ground. You then have an idea of what to expect on your route. As you walk it in reality, you can mentally tick them off. This has a few advantages, which I won’t go into fully here but among them is confidence. 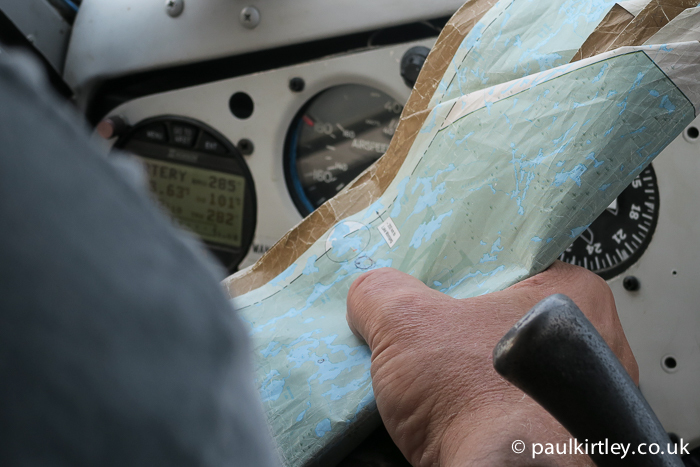 In addition, you might want to add a back-stop or collecting feature – that is, something which alerts you if you overshoot your intended target on a given navigational leg. But back to thumbing the map. If you have a series of tick-off features in mind, then as you reach them, just move your thumb forwards and carry on. This way you move down the trail quickly and efficiently, confirming and keeping track of where you are without having to check and re-check on the map all the time. Thumbing the map is a technique I use regularly when I am hiking a trail I don’t know. I primarily use it when hiking. I don’t, for example, use it while canoeing (hard to hold a paddle in the water at the same time). It certainly wasn’t my idea though. It’s widely used, particularly by competitive orienteers. Thumbing the map, does, however, translate over to other activities, sometimes surprising. 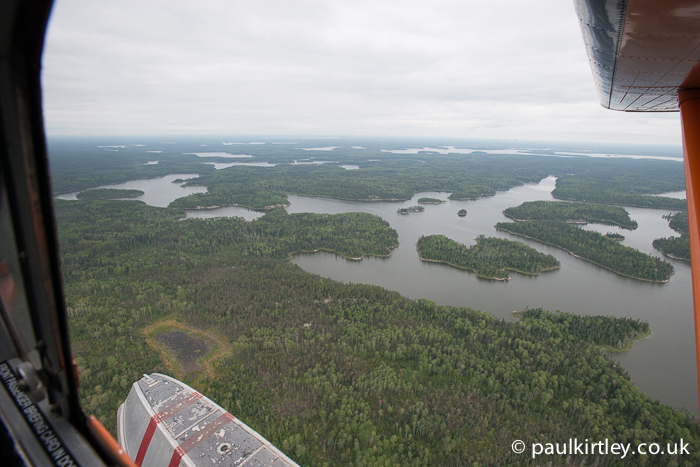 One which I noticed while on various trips in Canada was that it works well while flying a float plane. It wasn’t me flying the plane of course. For those who may not have had the experience, these planes fly relatively low and do not have particularly sophisticated navigational technologies. 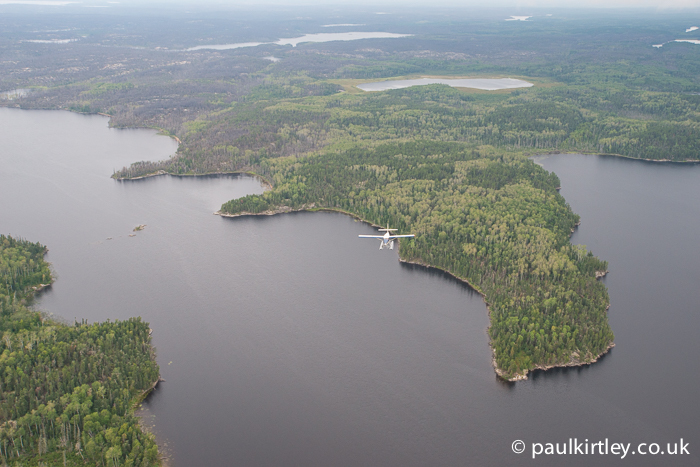 While they do fly with GPS, in my experience, the pilots will fly with a topographic map on their lap and navigate the wilderness by lakes, watercourses and other visible features until they reach their desired landing place. 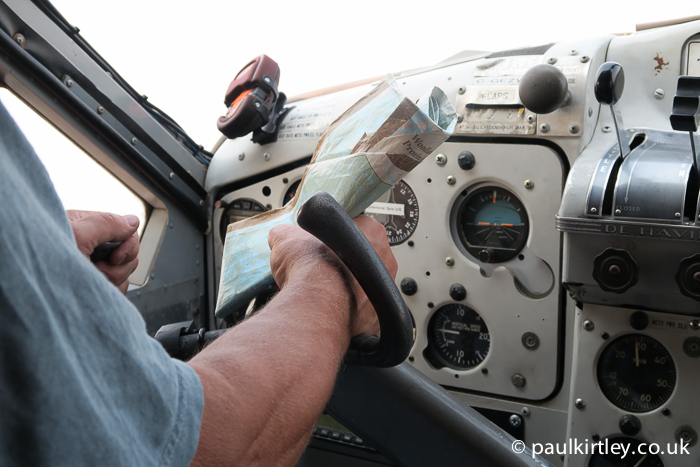 So, it brings a smile to the face of my inner navigation geek when I see the pilots also thumbing the map as they go. 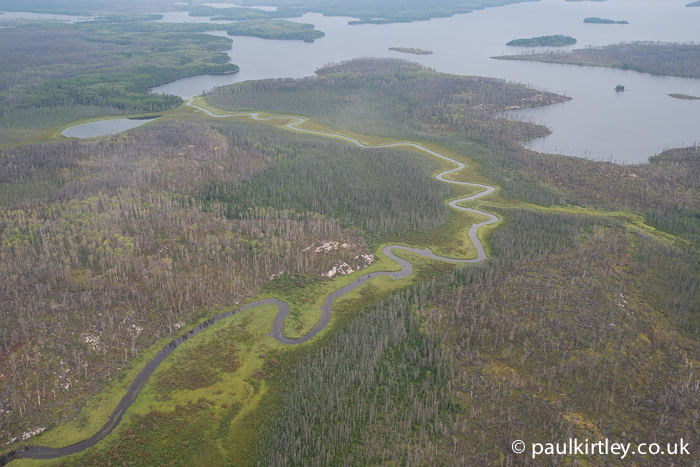 If it works for a bush plane pilot, then maybe it’ll work for your next trail hike. Give it a go if you don’t use it already. If you do already use this technique, let me and other readers know in the comments below. Final Word – Thumbs, Yes. Fat Fingers, No. This is a technique often used by orienteers, I’ve been known to draw an arrow on my thumbnail as a reminder! I also use a system of symbols to record known or estimated positions whilst travelling. Triangle for known positions and circle for dead reckonned/ estimated positions as I travel. I use other symbols for other information and annotate my maps often. Chinagraph pencils on mapcases or lumograph pens on laminated maps are good for this. They wipe off easily with a day of hand gel. Having trained and as a hydrographer and cartographer the benefit of taking note of micro future as you travel can’t be overstated. Differences in height or aspect can be used to verify location whilst on the move. These techniques are just as valuable in urban areas as rural albeit now that gps/ phone technology has mostly replaced paper street maps. Good info Paul, great blog. 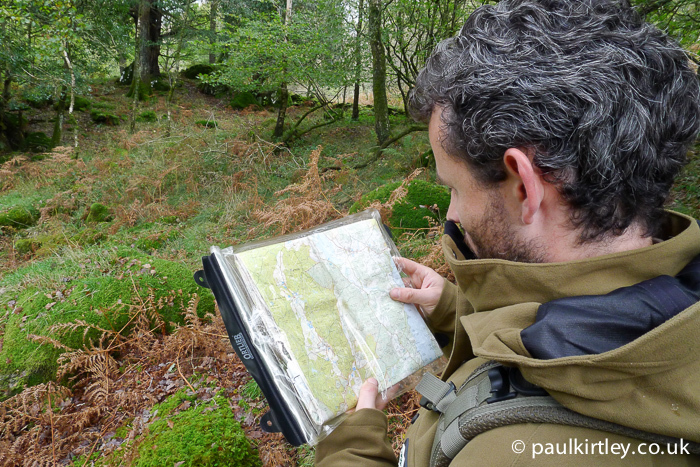 Distance, Direction, Terrain and Catching Features – combining that with a thumb on the map helps me identify where I am! I have also been known to use a chino-graph pencil on a long trip, particularly canoeing, to circle something I have passed – with a time noted – that way if I travel on and have trouble, I can roughly work out an area I am in by the time passed and it’s easy to follow a load of circles on the map to locate whereabouts I am at that moment. I love coming to the blog, something interesting every time! I allways cover my maps with a seethrough selfsticking plasticwrap for protecting bookcovers (non naitive in lack of vocab (= ) and draw on them with a pen. Eraseable with either alcohol or a whiteboardmarker so that I have my hands free. I also allways draw a sketch of the route on a piece of paper with directions, distances and importsnt landmarks. 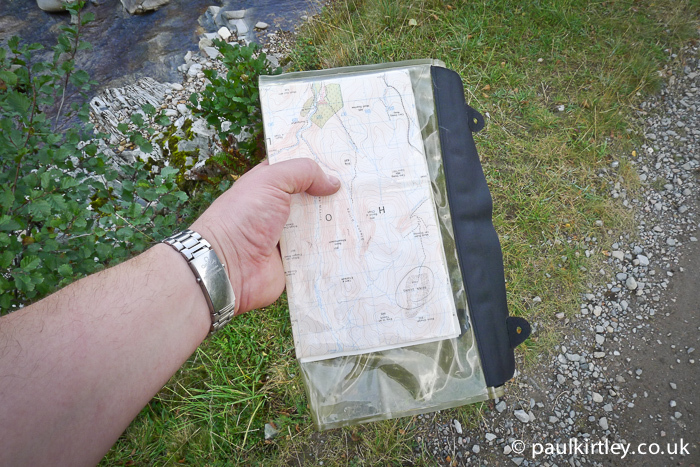 Helps me memorizing the route and is a backup if my map gets damaged or lost. I definitly will test your thumb technique, sounds nice and easy to do if no tools are available. Thx for the tip. I’m a former public school teacher…laminate everything; you can even use packaging tape for a laminate to save money. Now, mark that spot with a sharpie and when finished (at home) erase with goo gone or nail polish remover…the bonus is that map will last forever!! Wow–seems my technique is quite popular…great. Note to self: read comments first next time. 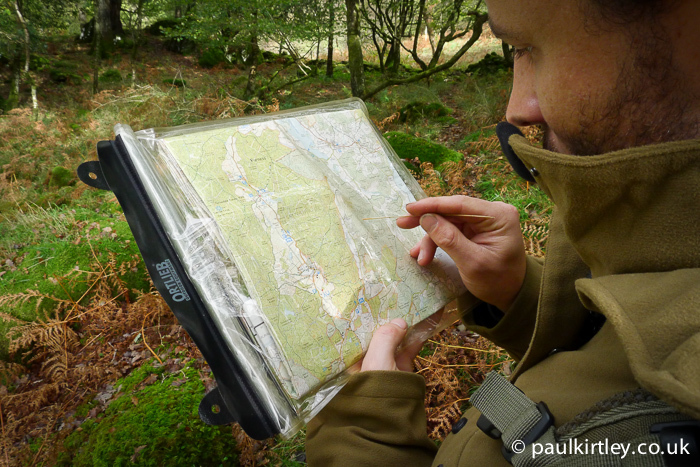 Very useful post at a perfect time for me as i’ve been trying to challenge my navigational skill recently. I’ve gone out a few times in the last few weeks with map and compass and although the south of England isn’t a great place to try to challenge myself it’s been a great few outings anyway and i’ve gained some confidence too so thats all good. Gradually building experience and confidence is always a good approach Liam. I hope this technique proves an additional useful tool in your navigational tool kit. Yes, that’s a good extra tip Duncan. Thanks!